Benefits to students. Work-based learning can help students improve academically. It helps them understand that what they learn in the classroom is connected to the real world. And, it is a great way to explore career options. Benefits to schools. Work-based learning can improve student motivation, attendance and graduation rates as well as improve the school’s relationship with the community. Benefits to employers. Work-based learning helps employers reduce their recruitment and training costs, as well as hire better-prepared employees who understand workplace expectations. 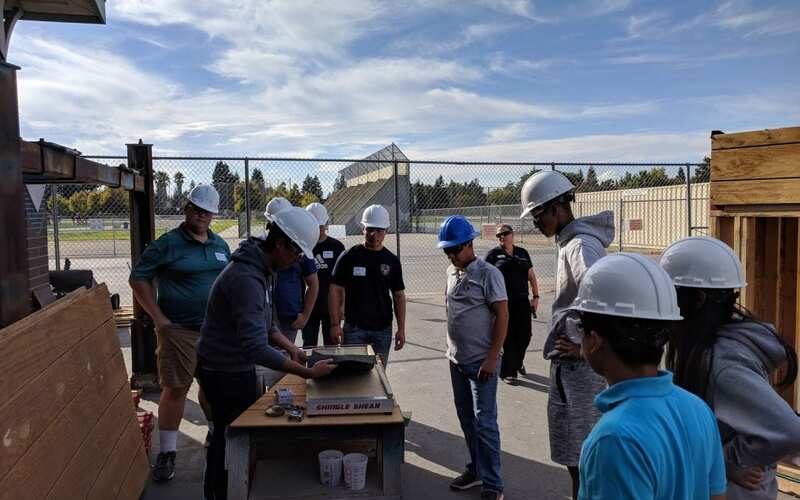 One hundred and eighty four students have attended Lennar-sponsored monthly after-school workshops, which offer hands-on training for the building trades. The workshops primarily serve students in building and construction trades, engineering and architecture and manufacturing production technology pathways. Six Elk Grove Unified high schools including Cosumnes Oaks, Franklin, Laguna Creek, Monterey Trail, Pleasant Grove and Sheldon high schools each host these workshops. Students who participate in the workshops learn skills in framing, electrical, plumbing, HVAC, solar, tile setting, stucco prep, roofing and trim carpentry. Various business partners such as L&S Framing, Rescue Electric, Eagle Stucco, Interior Logic, Villara and Heritage instruct and support students throughout the workshops. Students who complete the workshops will be invited to attend a resume/interview workshop in late March/early April. Juniors will need to submit a summer internship application and be interviewed (late April) for the Lennar intern positions. Seniors invited to the 2019 Skilled Trades Job Fair on April 13, 2019 will be able to apply for a position directly with a contractor. More information will be available to students at the remaining workshops.